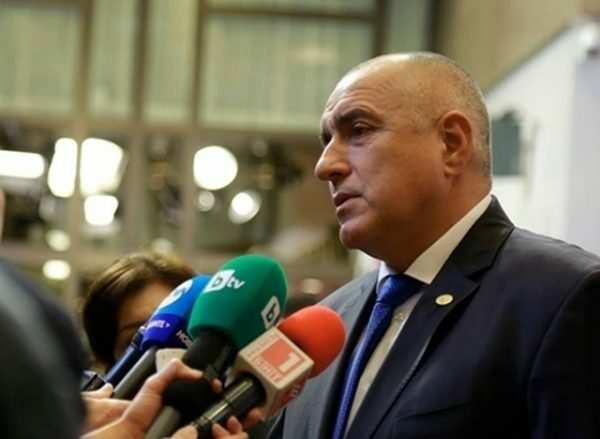 Bulgarian Prime Minister Boiko Borissov has sharply criticised police over their handling of the aftermath of a fatal shoot-out involving a convicted organised crime boss in the Black Sea resort of Sunny Beach. Interior Minister Roumyana Buchvarova is to face questions in Parliament on June 10 over the incident. Borissov sent Buchvarova to Sunny Beach to question police chiefs about their actions, cancelling her planned attendance at a meeting of EU interior ministers. In the shooting at the resort on the night of June 8, one man was killed, identified as Alexander Andreev, bodyguard of Dimitar “Mityo the Eyes” Zhelyazkov, while Zhelyazkov was critically injured. A second Zhelyazkov bodyguard, Nikola Marinov, also was shot but was said to be not in a serious condition. Zhelyazkov was hit by five bullets, and on June 9 was undergoing further surgery as doctors at Bourgas Hospital said that they were struggling to stem heavy bleeding resulting from his wounds. Zhelazkov has a place in Bulgarian judicial history for having plea-bargained a conviction for heading an organised crime group involving in illegal drug distribution. His career began as a security guard for the controversial VIS group. In a November 2011 car bomb blast, his wife, brother and a bodyguard died. Bulgarian media reports alleged “The Eyes” to be one of the most powerful underground figures at the Bulgarian Black Sea coast. He was in jail for five years for heading an organised crime group, before being released in 2012. His most recent prominent public appearance was three months ago when he gave evidence as a witness in the trial of Zlatomir “The Beret” Ivanov. The June 8 shooting was said by Bulgaria’s Interior Ministry to have started as a dispute over parking space. Reports said that a large number of people were involved in the confrontation, 10 patrons at the Iceberg disco in the resort, and 30 from Zhelyazkov’s group, who had entered the premises after the dispute about parking began. Borissov said that police initially had reacted appropriately after the shooting, but had failed to detain several young men with powerful physiques who had gathered at the hospital where Zhelyazkov was being treated and had behaved aggressively. The Prime Minister expressed hope that all of those wanted in connection with the incident would be arrested within a day. On the morning of June 9, Interior Ministry chief secretary Georgi Kostov said that so far, seven people had been detained. Kostov said that of those taken into custody at the site, one was suspected of having shot dead Zhelyazkov’s bodyguard Andreev, while another was from Zheyazkov’s group.